As a hospital facilities manager, it’s your job to keep the hospital looking spick and span year-round – after all, patients won’t be too reassured by a facility that looks shabby and poorly maintained. That’s why it’s important to conduct hospital maintenance projects, like painting, on a regular basis. But paint work can be particularly challenging – the work has to be done while contending with the 24/7 nature of the hospital, managing the safety and comfort of patients and staff, and all on a limited budget. It’s vital, therefore, that you make sure you’re getting maximum value for every single dollar that you spend. We’re here to help you do just that. Here are our top 5 tips for getting the best deal for your healthcare painting. If you come across a contractor who is willing to submit a proposal without visiting the site first, consider this a red flag. This could potentially lead to you being hit with unexpected variations down the track, because the contractor “didn’t realise this or that about the property” when they put together the original proposal. Before contractors even submit a proposal, therefore, it’s important that they have a walkthrough of the facilities. Not only does this give you the opportunity to point out precisely which areas need attention, and what particular site conditions the contractor needs to be aware of, but it also gives the contractor the chance to cast their professional eye over the property and make their own recommendations. The best contractors will tell you how to get the best long-term result for the available budget, based on the current condition of the property. You may find, for example, that some walls only need to be cleaned rather than repainted, or that there may be some damage that you initially didn’t notice, but which could potentially lead to much more costly building repair work if not tended to quickly. When it comes to requesting proposals from contractors, it pays to ensure your scope of work is as detailed as possible. Don’t simply list which areas need to be addressed; remember to detail which elements like doors, windows, trims, eaves, fascias and so on. It can be helpful to also include a marked up site plane if you have one available. And be very clear about any non-negotiables, whether it’s antimicrobial paints to help fight healthcare-associated infections (HAIs), low- or no-VOC (volatile organic compound) paints to reduce irritants in the air, or epoxy-based coatings to help resist abrasions and strong disinfectants for areas that are frequently cleaned, such as emergency and surgery rooms. It is also prudent to make specific requests about what aspects of the job you would like addressed in the proposal. Contractors tend to use templates for their proposals, which can contain different and often inadequate information, making it difficult to compare one proposal to another. By specifically requesting that they address things like surface preparation, safety measures, means of accessing hard-to-reach areas and so forth, you can be confident you’re comparing apples with apples, and see more readily where a contractor may be cutting corners in order to submit a lower bid. When comparing contractors, it’s important to factor in the time you would need to spend managing the project yourself. The amount of project management included will differ from contractor to contractor, and while contractors who offer a more premium service with more project management (like Higgins) might be a little more costly, you may find that when you do the math and consider the hours you would save, you actually come out ahead. And don’t forget that that is valuable time that can be invested into other projects, so you can get more done in less time. To ensure a high-quality, long-lasting result, you want to partner with a company that truly understands the unique needs of your industry, and who has relevant experience within that industry, as experienced contractors can often save money by completing the work to a higher standard and in a shorter time-frame. Check out case studies and speak to previous clients about their experiences with the contractor in question. Look for signs that the contractor is able to be flexible enough to accommodate your requirements – for example, were they able to work around the hospital’s schedule? Were they able to complete the work while minimising disruptions to patients? You may even want to visit facilities the contractor has painted, so you can see how their work holds up months and years on. You may also want to explore the relationship the contractor has with their preferred supplier – those with a strong and transparent relationship may be able to help negotiate a good deal on the materials so you can be confident you’re stretching your budget as far as possible. 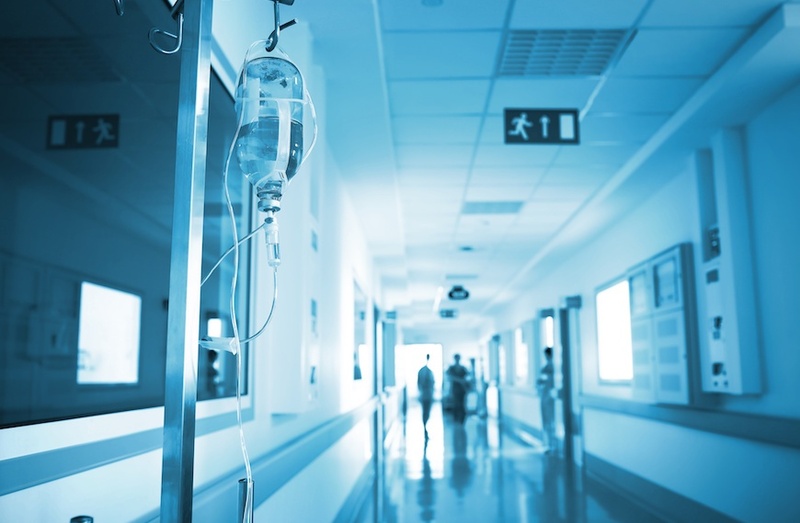 When it comes to hospital maintenance, a long-term approach is not only less of a strain on the budget, but also ensures the hospital is kept in tip-top shape for several years, rather than being left to deteriorate. Higgins, for example, provides maintenance painting solutions that provides clients with the option to undertake the initial repaint to bring your facility up to standard then maintain on an annual basis over a set period of time where the total cost can be spread evenly over the term. This method assists in budgeting for your painting requirements plus ensuring your facility is presented in a consistent condition at all times. In order to get the best deal, hospital facilities managers need to look beyond price, and also consider what that price gets you in terms of quality of work, materials, project management and experience. Looking for a contractor that specialises in healthcare painting? See what Higgins has to offer – request a quote today.